EPA’s Design for the Environment (DfE) Program (claims to) work “to reduce risk to people and the environment by finding ways to prevent pollution”, yet they recently began allowing DfE-endorsed products to contain fragrances. 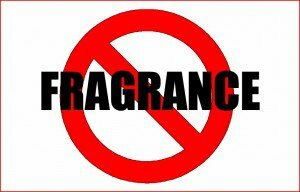 Of the first 119 fragrance chemicals okayed for use, 93 have “hazard profile issues” such as being known sensitizers or lacking vital data!!! 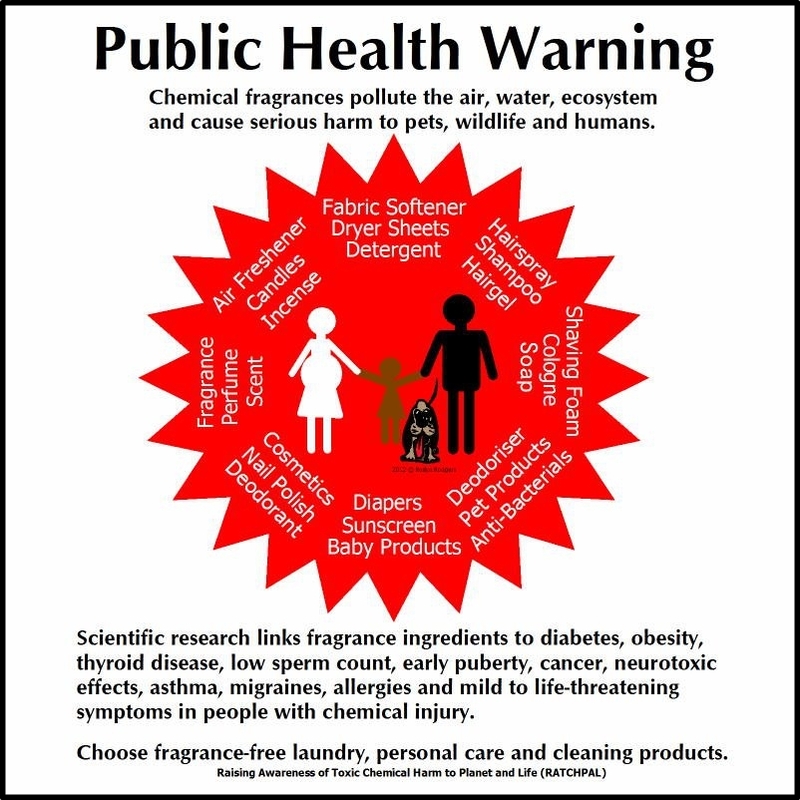 Those of us with MCS/ES, along with many others who now experience adverse or disabling health effects from fragrance chemicals rarely had them before being exposed to some supposedly safe petrochemicals (in everyday use) that tipped our bodies over an edge. For too many of us, it was from fragranced products that we first experienced and continue to experience chronic health problems. …“it is standard environmental health practice to discourage the use of air fresheners, scented products, and fragrances in homes and other indoor spaces. However, fragrances play no role in the effectiveness of cleaning products. Such artificial suppression of other odors may even mask the continuation of an unsanitary condition after cleaning. Unfortunately, these recent decisions on fragrances undermine the program. Choose fragrance free options. They are available. Check labels to make sure the words “parfum” and “fragrance” do not appear. Essential oils can also contain harmful petrochemical ingredients unless they are certified organic, and even then, they can be sensitizers and allergens. Green circle – The chemical has been verified to be of low concern based on experimental and modeled data. Green half-circle – The chemical is expected to be of low concern based on experimental and modeled data. Additional data would strengthen our confidence in the chemical’s safer status. Yellow triangle – The chemical has met DfE criteria for its functional ingredient-class, but has some hazard profile issues. Specifically, a chemical with this code is not associated with a low level of hazard concern for all human health and environmental endpoints. (See DfE criteria). While it is a best-in-class chemical and among the safest available for a particular function, the function fulfilled by the chemical should be considered an area for safer chemistry innovation. Grey square – This chemical will not be acceptable for use in products that are candidates for the DfE label and currently labeled products that contain it must reformulate per DfE Compliance Schedules. This entry was posted in Air Quality, Child Health, Environmental Health, Fragrance, Public Health and tagged DfE, EPA, fragrance chemicals, health, petrochemicals, sensitizer. Bookmark the permalink. UGH. This makes me want to scream. I wish there were a “like the post, hate the implications of the post” button. Are you ever OK with being reblogged or linked to? I for some reason thought you weren’t. I seem to be meeting other thyroid bloggers and Lyme bloggers on Twitter, and I post my blog on Twitter. Thyroid bloggers need to read about endocrine disruptors because we are endocrine-disrupted, and as for Lyme bloggers, as you know, a lot of Lymies have many chemical sensitivities even if they don’t have full-blown MCS. If you find any of these posts useful, please do share. More people need to learn about the effects everyday chemicals are having on our bodies, because when we do, we can start avoiding them and demanding better, safer products and materials! So few people understand the connection between health problems and “environmental” exposures… We like to believe that if things are sold, they must be proven safe first, when nothing could be further from the truth. Good info. It is unfortunate that so many people think that “clean” needs to stink. They only think that because the fragrance industry has been hammering it into their heads via all that advertising.